Enter your information and we will send you the course syllabus, pricing, etc. 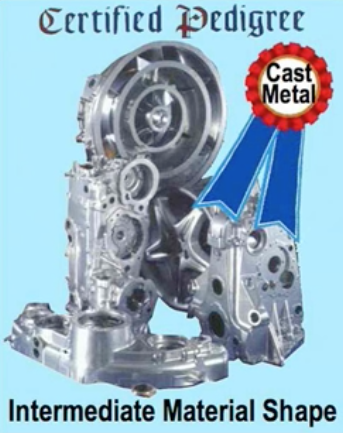 The highest performing engineered components contain metal castings. Designing them to their full potential is difficult. "We've been a participant in No Redesign's methodology development. It really is innovative. Among our 12 Divisions, we pursue casting designs FIRST for our complex structural or functional metal components." 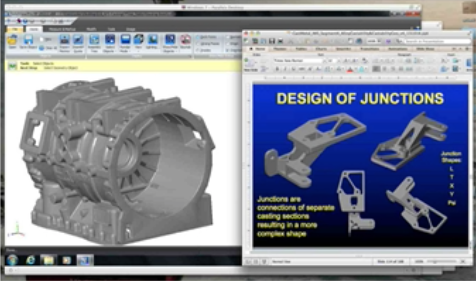 I can start designing other component forms like fabrications, but its hard to start castings. You’re not alone…that’s why we call it a cast metal “Intermediate Material Shape” with its own complex pedigree…mostly coming out of your metalcasting Supplier Teams’ metallurgical engineering and wide variety of mold processes. We offer a methodology that defines very clear 1st steps that become 3 Generations of Solid Models that engage your own Product Launch Team first and then the Supplier Teams…all based on manufacturing engineering of the 1st Generation Solid Model’s design. When we finally get a casting design sent out in solicitation…most Metalcasting Supplier Teams who respond want to change the design. Fundamental to our Cast Metal Intermediate Material Shapes methodology and its 3 Generations of Solid Models venue is “Castability Geometry” Alloy families vary widely in their metallurgical characteristics of flow, liquid delivery temperature, and solidification gradients…in response to the shape detail in the mold cavity. If the alloy doesn’t “like” that shape detail, there’s going to be trouble…but no one defines “friendly shape detail” in advance for you. We do…we call it Castability Geometry…it is foundational and we define it’s characteristics for all alloy families. It is the foundation on which Structural or Functional Geometry is integrated in the 1st Generation Solid Model and it continues to drive satisfactory mold-filling & solidification simulations of the 2nd Generation Solid Model. As we launch new casting designs, we do well with prototypes…have some fits & re-starts, but the prototypes perform well structurally and or functionally. But we REALLY struggle getting production 1st Articles approved, especially dimensionally. Sometimes with surface defect problems…We often have to launch the production component, not fully approved, with a few dimensional deviations. Maybe having to accept variation in cosmetic appearance of as-cast or machined surfaces that we expected to be more consistent. Like “Castability Geometry” being foundational, yet a mystery, the principles of casting dimensional capability are another mystery. 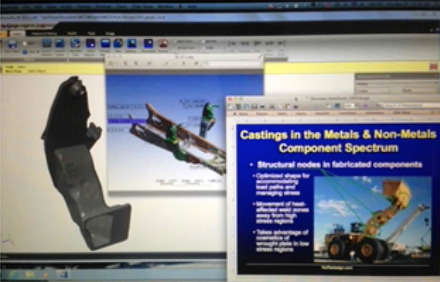 Our Cast Metal Intermediate Material Shapes instruction includes a major group of 6 instructional segments addressing causes of dimensional variation and solutions for dimensional compliance. There’s another 2 segments on the design and use of Functional Gauges to 100% verify dimensional compliance as process steps in casting finishing. And related…Design of Fabricating and/or Machining Fixtures. It’s a manufacturing engineering problem that we will show you how to solve. Same with non-metallic inclusions in as-cast or finished machined surfaces…part of the manufacturing engineering of the 2nd and 3rd Generation Solid Models. 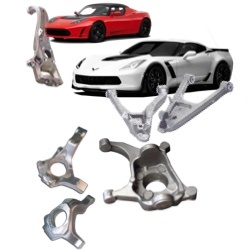 Regarding prototype and production castings in general, is there an integrated approach to make them both go faster with fewer delays, fewer re-tooling costs, on-time 1st Article production casting approvals? The short answer is “yes”…it comes with the integrated application of three groups of instructional segments…Castability Geometry, Dimensional Capability, and Downstream Processing Geometry…a total of 14. What makes that doable is the manufacturing engineering venue that the Cast Metal Intermediate Material Shapes methodology professes…using the 3 Generations of Solid Models. But, seamless integration of prototype AND production castings all the way through durability testing to 1st Article approval involves a manufacturing engineering focus on tooling design. Segment 17 (Design of Fabricating and/or Machining Fixtures) and Segment 31 (Principles for Casting Prototypes) drill into this specifically. We are aware of safety critical, long strain life castings in challenging structural applications. Yet, castings have surface defects and solidification defects in their microstructure…how is such durability possible? If we try it, will we get burned? Structural Geometry, integrated with “Castability Geometry” and Mold & Cavity-Making Processes, can be engineered with high certainty. Huge advances have been made in recent years with the surface and internal integrity capability of Mold & Cavity-Making Processes…especially those applicable to the light metals. Some of those advances have made structural designs a little less sensitive to “Castability Geometry,” but regardless the combination of those two is very important to structural durability. And our Segments focus on that. That said, the most powerful parameter in long strain life, safety critical castings in any alloy…made from any Mold & Cavity-Making Process…is the Structural Geometry itself. Geometry alone controls the stress in a structure, so it is actually quite easy to use Area Moment of Inertia to reduce stress in regions of a casting where a surface or microstructure defect could cause a crack to form. We procure castings as finished parts, ready for assembly. Occasionally a casting or a group of castings will fail to assemble correctly due to a dimensional non-conformance. We reject the castings and charge back the 1st Tier supplier…that stings them and gets response, but sometimes the 1st Tier and sub-Tier suppliers can’t resolve the assignable cause. We all get hurt by delays and finger-pointing. At the heart of the 6 Dimensional Capability Segments and 2 Downstream Processing Geometry Segments is innovative application Geometric Dimensioning & Tolerancing to the mold cavity tooling and the tooling that upgrades some as-cast surfaces to final net shape by machining and/or fabricating. GD&T is well-understood and pretty much universally applied to all kinds of component dimensional tolerances…including castings. But…a huge opportunity to avoid dimensional non-conformances lies in that innovative, new application of feature-by-feature GD&T zones of tolerance for mold cavity tooling, functional gauges, and machining/fabricating fixtures. Well-done, dimensional non-conformances at assembly can’t happen…and everyone is a lot happier! Should Cost is of interest to us, especially for castings. We see a lot a variation in quotes among our casting suppliers. We are suspicious that some quotes are not really based on their cost but their desire for the business. I guess our concern really boils down to being sure of suppliers’ manufacturing capability. We think a reliable Should Cost algorithm could help us. A realistic algorithm for Should Cost has to be based on an actual, specific casting design. 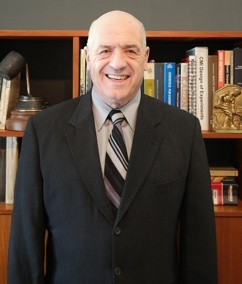 By the time an algorithm is given enough specifics to address a realistic, manufacturable, capable estimate of casting cost, an actual quote from a truly capable Metalcasting Supplier Team could have been solicited. Problem is…who is that truly capable Metalcasting Supplier Team? Our “3 Generations of Solid Models” for a casting design becomes a manufacturing engineering venue that brings forth evidence of manufacturing capability among Supplier Teams responding. How that works is really innovative, involving a whole new way for OEM’s Procurement and Manufacturing Engineering functions to interact with Metalcasting Supplier Teams. Real Should Cost is a reliable, timely outcome. 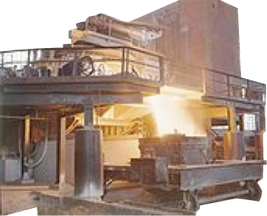 The Design Phase of a metalcasting is the connecting link…nexus… between a component’s requirements and the HUGE array of casting industry’s Metallurgical and Manufacturing Process capabilities. 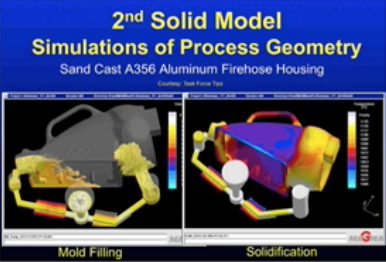 This graphic illustrates why Manufacturing Engineering Collaboration with Metalcasting Supplier Teams has to be part of the casting design process. 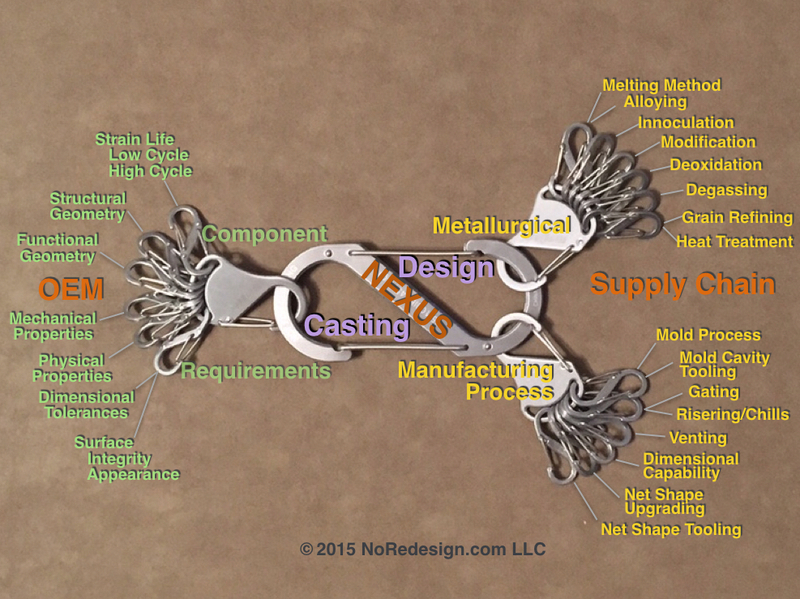 Metal Castings are not commodity-like materials but instead are intermediate material shapes. Final assembled cost based on the "pedigree"
Why does NoRedesign.com call castings “Intermediate Material Shapes?” Because they have a “pedigree” of baseline alloy characteristics, metallurgical engineering of melting practices and alloy modification, a zillion ways of making the mold cavity…not only its geometry but also its mold wall materials…and another zillion ways of building the tooling. And not just the as-cast geometry but also the processes of upgrading some as-cast features to net shape by machining and/or fabricating. It most certainly is not a commodity, and the manufacturer must knowledgeably participate in that pedigree with the metalcasting supply chain to stop the frustration and have a successful, robust, long strain-life cast metal component…at affordable final assembled cost. I will teach you to create metal castings in really innovative, high-performing designs. The 32 subjects address all the professions in a manufactured Product Launch Team, so Design Engineers have a lot of subjects…so do Durability Analysis Engineers. Lot’s for Manufacturing Engineers, too. But also content for Procurement Managers, QA, Supplier QA. Manufacturing engineer; Pharmaceutical packaging; Later, and most significantly, manufacturing engineering of steel casting processes,...including tooling design, mold cavity-making processes, pouring, finishing, machining, fabricating, and assembly into final products.